MARTIN COUNTY, Fla. — The Martin County Sheriff's Office is investigating a deputy-involved shooting. It happened near SE Ferndale Avenue and SE Kensington Street, in the Golden Gate community. The Martin County Sheriff's Office says deputies were called Monday afternoon to remove a man for trespassing at his parent's home. Lt. Michael Dougherty said the parents had a no trespass order issued against their son as recently as Thursday, in fear for their safety, saying he had been acting irrationally. “He’s got a history of being violent to the parents, the family, law enforcement, everybody all the way around,” Dougherty said. The parents called 911 when their son showed up at their home Monday around noon. He was gone by the time deputies arrived, but they stayed in the area to watch the residence as a precaution. The son returned to the home about ten minutes later. Deputies moved in to arrest the son. MCSO says the man refused to comply with a deputy's commands. 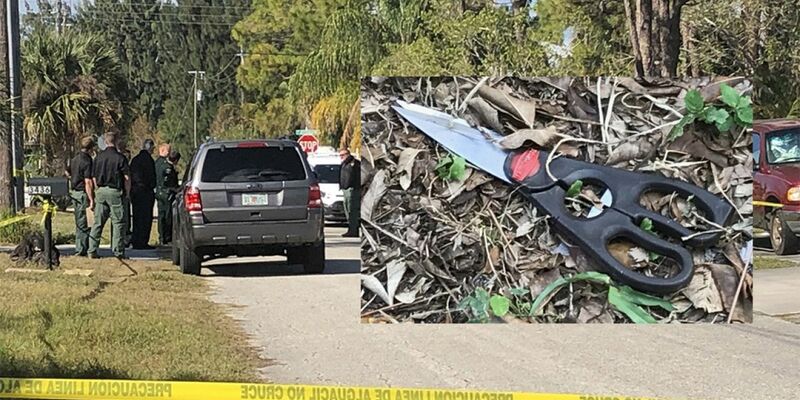 Then, deputies said the son charged at them with a pair of scissors. That deputy fired one shot, hitting the man in the stomach. He was taken to the hospital where he is expected to survive, according to the Sheriff's Office. The deputy was not hurt. Investigators say he will be arrested when he is released from the hospital.